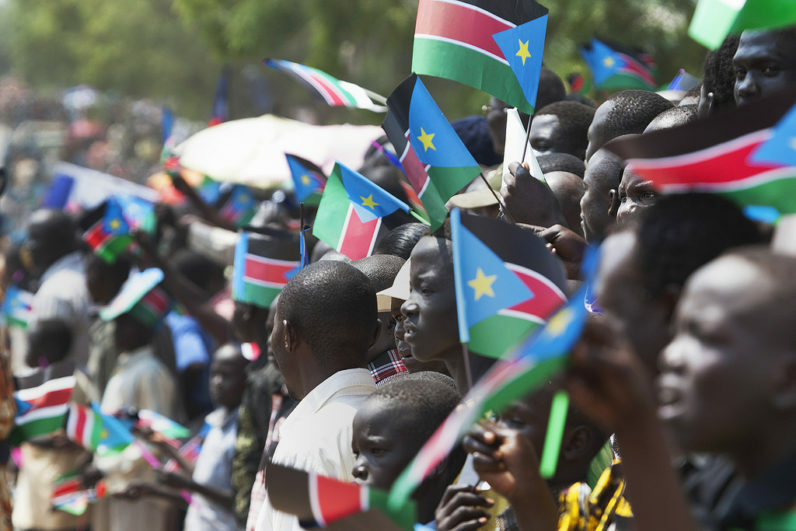 South Sudan is Afrika’s newest country. Before it’s split from Sudan after three years of civil war, and after its independence, it continues to endure war and famine which is compounded by drought. The famine in South Sudan persists to this day with the United Nations (UN) reporting that the number of people, many of whom rely on refugee camps, who are struggling to find food each day has grown from 4,9 million in February 2017 to 6 million in June 2017. The world’s youngest country has also not known peace since its birth, on 8 August 2017 the first batch of UN troops arrived in South Sudan to help patrol the streets and quell the violence in the country. The deployment of 4,000 troops comes despite a peace agreement being signed during August 2015 in South Sudan. The regional protection force which was authorized by the UN Security Council in 2016, will be providing protection to key facilities in South Sudan’s capital, Juba, and the main routes into and out of the city, “It will also strengthen the security of UN protection of civilians’ sites and other UN premises,” the UN stated. The famine and war have also led to the displacement of many South Sudanese. It is estimated that more than 2 million South Sudanese have fled to neighboring countries since the civil war erupted. Another 200,000 plus are said to have been displaced in South Sudan and are housed in the UN’s six sites for protection of civilians across the country. One of the country’s some South Sudanese have fled to is Uganda. “I was born as my mother was fleeing the war in South Sudan near the Nimule border. I grew up in a refugee camp, outside of my home country, mostly in Uganda,” said Lual Mayen, Founder of Junub Games, a non-profit organization using mobile games for peace building in South Sudan. “I want them to understand the power of love and connection to change the hate and violence of war,” said Mayen. He studied software engineering at Uganda’s Makerere University. Upon graduation in 2016, he returned to South Sudan to start Junub Games. Apart from wanting to encourage peace and love among South Sudan’s youth, part of what inspired Mayen to start Junub Games was what he experienced living in refugee camps. Mayen explained that some of his best memories were the games they used to play as children with a non-profit organization known as Right to Play. Junub Games was established in 2016 and it is currently made up of a team of 5 young, creative, and innovative South Sudanese. The organization also makes use of, as Mayen explained, a large pool of youth who are ready for mentorship and training in peacebuilding and games development. The organization’s progress has thus far, as young as it is, been quite impressive as they also recently graduated from the first cohort of the PeaceTech Accelerator in Washington DC. Also, Mayen believes that South Sudan has a gaming industry with great potential. As such, Junub Games organized the first ever Global Game Jam in Juba during January 2017. “So many games that the youth today play are very violent – first person shooter games, war games etc. Even without technology here, often kids will use sticks and play fight like they are guns. What makes Junub Games’ games unique is that the only way to win is by making peace. The victory doesn’t come from destroying, but from creating and connecting, spreading love and hope and positivity. The player has the power to make a change. That is what people will learn when they play [our games],” said Mayen when explaining to iAfrikan why he went the route of using games for peace building. “Games are something people use every day, for fun, in an almost ‘addictive’ way. We wanted the messages of peace to be something that is consumed by the players every day. Peace is what we are after, and so it only makes sense that any game developed should be promoting peace and love. If we don’t have peace at home, then nothing else can develop – healthcare, schools, infrastructure all need peace first. I think that the impact of the games will really be seen,” said Mayen. Junub Games’ first mobile game is known as Salam (Arabic for peace). In the game, players race to destroy bombs in the air before they can harm people on the ground. Success is rewarded by a message congratulating the player on saving lives. “That is why Junub Games has also developed a board game and playing cards. Idleness amongst the youth is one of the primary drivers of violence, especially in IDP and refugee camps where there isn’t access to alternatives. These camps and sites have idle social clubs which are brewing social evils and hate speech leading to frequent community clashes in the camps,” explained Mayen. “We plan to have a peace event with South Sudanese diaspora as well as with youth in South Sudan, to use technology to spread messages of love and support and unity. We hope to have more child and youth driven solutions and ideas emerging soon from Junub Games,” concluded Mayen.